Biokat's Micro is an efficient cat litter and 1 litre of Biokat's Micro binds at least 3 litres of liquid. Gimborn House cat litter is highly economical and an absolute must for thrifty cat owners who value quality over quantity. The litter forms lumps, making it even more efficient. And despite its fine grain content, this cat litter is virtually dust-free! Biokat's Micro, as with all Biokat's cat litter products, stands for top quality: only the best materials for Micro! 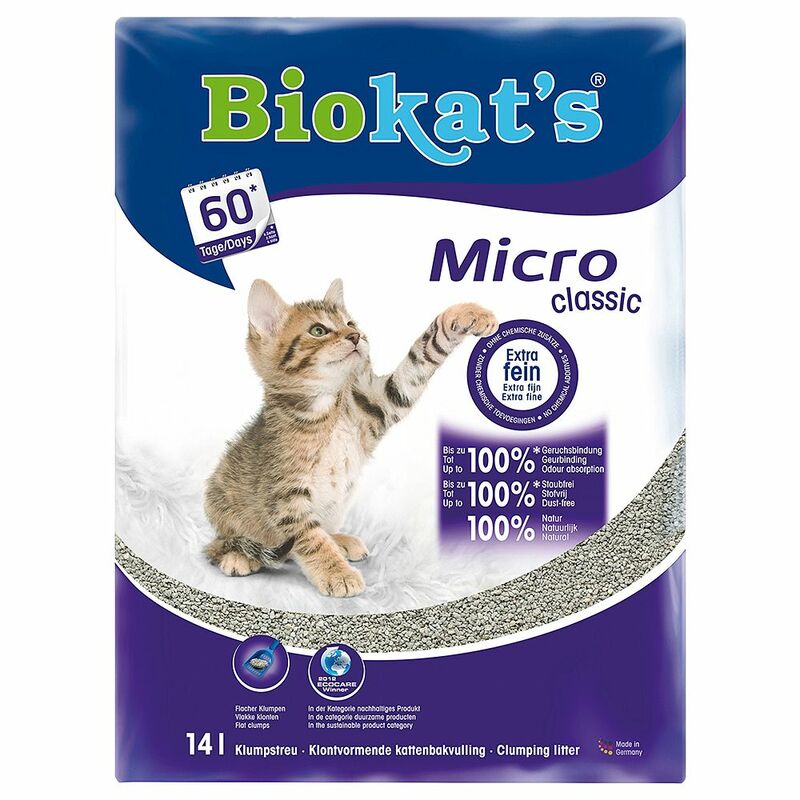 Biokat's Micro ClaΒic Cat Litter at a glance: 1 litre Biokat's Micro binds at least litres of liquid 300% absorbency Extra fine grain Binds together many bad odours Virtually dust-free (99. 8%) Gentle on pets' paws Environmentally friendly production Made in Germany Biokat's Micro is made in Bavaria, Germany.